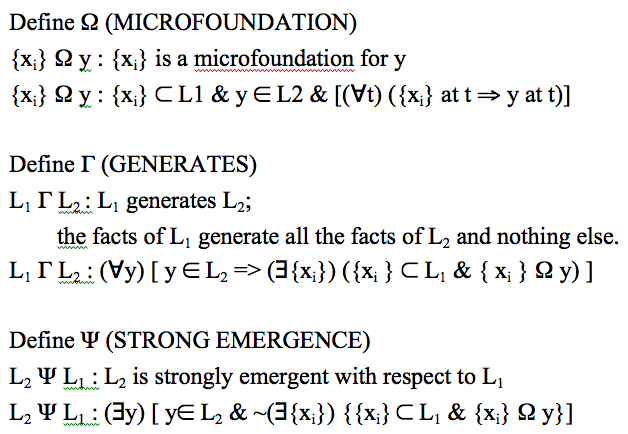 Are emergence and microfoundations contraries? Are there strong logical relationships among the ideas of emergence, microfoundations, generative dependency, and supervenience? It appears that there are. The diagram represents the social world as a laminated set of layers of entities, processes, powers, and laws. Entities at L2 are composed of or caused by some set of entities and forces at L1. Likewise L3 and L4. Arrows indicate microfoundations for L2 facts based on L1 facts. Diamond-tipped arrows indicate the relation of generative dependence from one level to another. Square-tipped lines indicate the presence of strongly emergent facts at the higher level relative to the lower level. The solid line (L4) represents the possibility of a level of social fact that is not generatively dependent upon lower levels. The vertical ellipse at the right indicates the possibility of microfoundations narratives involving elements at different levels of the social world (individual and organizational, for example). We might think of these levels as “individuals,” “organization, value communities, social networks,” “large aggregate institutions like states,” etc. This is only one way of trying to represent the structure of the social world. The notion of a “flat” ontology was considered in an earlier post (link). Another structure that is excluded by this diagram is one in which there is multi-directional causation across levels, both upwards and downwards. For example, the diagram excludes the possibility that L3 entities have causal powers that are original and independent from the powers of L2 or L1 entities. The laminated view described here is the assumption built into debates about microfoundations, supervenience, and emergence. It reflects the language of micro, meso, and macro levels of social action and organization. Here are definitions for several of the primary concepts. Microfoundations of facts in L2 based on facts in L1 : accounts of the causal pathways through which entities, processes, powers, and laws of L1 bring about specific outcomes in L2. Microfoundations are small causal theories linking lower-level entities to higher-level outcomes. Generative dependence of L2 upon L1: the entities, processes, powers, and laws of L2 are generated by the properties of level L1 and nothing else. Alternatively, the entities, processes, powers, and laws of A suffice to generate all the properties of L2. A full theory of L1 suffices to derive the entities, processes, powers, and laws of L2. Reducibility of y to x : it is possible to provide a theoretical or formal derivation of the properties of y based solely on facts about x. 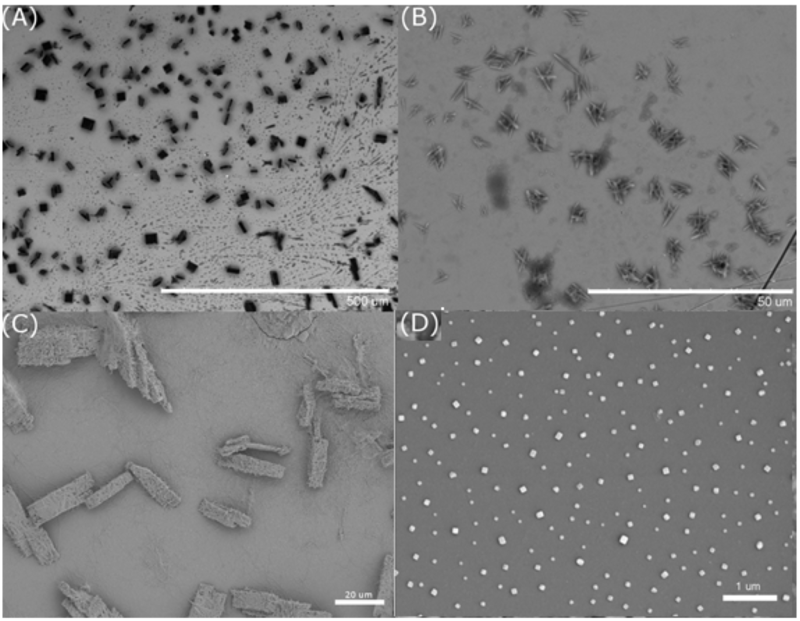 Strong emergence of properties in L2 with respect to the properties of L2: L2 possesses some properties that do not depend wholly upon the properties of L2. Weak emergence of properties in L2 with respect to the properties of L1: L2 possesses some properties for which we cannot (now or in the future) provide derivations based wholly upon the properties of L1. Supervenience of L2 with respect to properties of L1: all the properties of L2 depend strictly upon the properties of L1 and nothing else. We also can make an effort to define some of these concepts more formally in terms of the diagram. UM: all facts at L2 possess microfoundations at L1. XM: some facts at L2 possess inferred but unknown microfoundations at L1. SM: some facts at L2 do not possess any microfoundations at L1. SE: L2 is strongly emergent from L1. WE: L2 is weakly emergent from L1. GD: L2 is generatively dependent upon L1. R: L2 is reducible to L1. D: L2 is determined by L1. SS: L2 supervenes upon L1. Here are some of the logical relations that appear to exist among these statements. On this analysis, the question of the availability of microfoundations for social facts can be understood to be central to all the other issues: reducibility, emergence, generativity, and supervenience. There are several positions that we can take with respect to the availability of microfoundations for higher-level social facts. 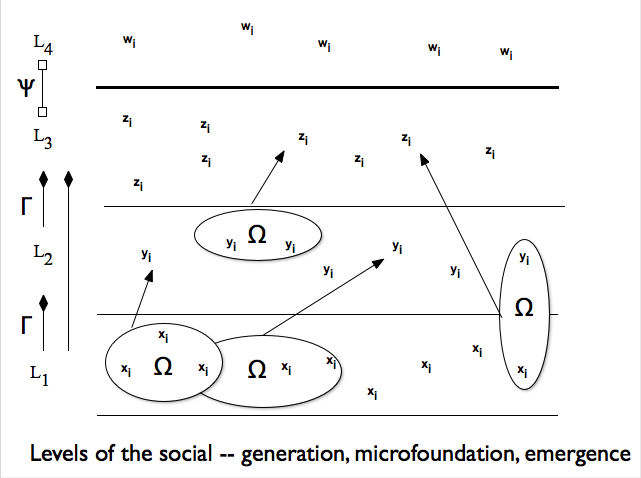 If we have convincing reason to believe that all social facts possess microfoundations at a lower level (known or unknown) then we know that the social world supervenes upon the micro-level; strong emergence is ruled out; weak emergence is true only so long as some microfoundations remain unknown; and higher-level social facts are generatively dependent upon the micro-level. If we take a pragmatic view of the social sciences and conclude that any given stage of knowledge provides information about only a subset of possible microfoundations for higher-level facts, then we are at liberty to take the view that each level of social ontology is at least weakly emergent from lower levels — basically, the point of view advocated under the banner of “relative explanatory autonomy” (link). This also appears to be roughly the position taken by Herbert Simon (link). If we believe that it is impossible in principle to fully specify the microfoundations of all social facts, then weak emergence is true; supervenience is false; and generativity is false. (For example, we might believe this to be true because of the difficulty of modeling and calculating a sufficiently large and complex domain of units.) This is the situation that Fodor believes to be the case for many of the special sciences. If we have reason to believe that some higher-level facts simply do not possess microfoundations at a lower level, then strong emergence is true; the social world is not generatively dependent upon the micro-world; and the social world does not supervene upon the micro-world. In other words, it appears that each of the concepts of supervenience, reduction, emergence, and generative dependence can be defined in terms of the availability of inavailability of microfoundations for some or all of the facts at a higher level based on facts at the lower level. Strong emergence and generative dependence turn out to be logical contraries (witness the final two definitions above). « Do we still need microfoundations?